Binotto telescopic cylinders are supplied with a full range of quality components specially designed and selected to maximize the performance of the complete hydraulic tipping system. 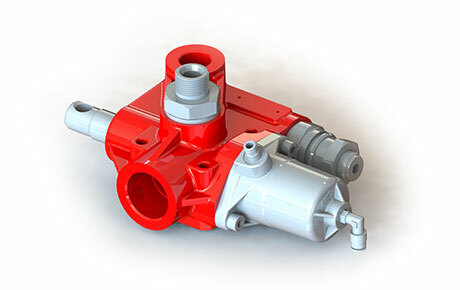 From decades of experience in manufacturing tipping systems for thousands of customers worldwide, the Binotto wide range of tipping control valves (including electrical, mechanical and pneumatic engage tipping valves with different flow rates - up to 250 lts/min) ensures the possibility to fulfill all customers’ requests for any type and any size of vehicle: for light duty tipping vehicles, medium duty and heavy duty. 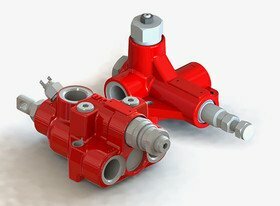 Three way position , compact size, easy to fit, Binotto tipping valves are available with various port configurations (side, top or bottom position) and sizes. 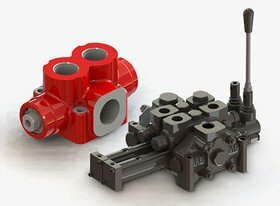 They are also designed to be installed directly in our hydraulic tanks for a faster installation and to save mounting space. With galvanized nodular cast-iron body and nickel plate spool, the Binotto tipping valves are very robust (up to 400 bar) and with very precise tolerances to avoid oil leaking. They are also safe, thanks to a built-in check valve and adjustable max pressure relief valve. Designed to be operated with our range of remote controllers, the Binotto tipping valves ensure proportional lowering , meaning that adjusting the lever in different angular positions the modular valve provide different speed at lowering.